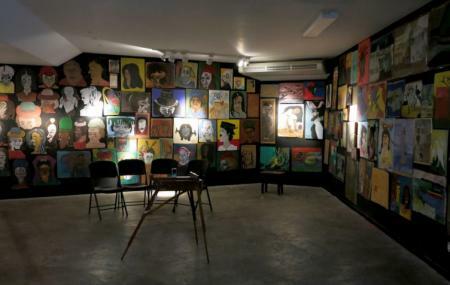 The best art gallery of Belize, the Image Factory, has monthly exhibitions each one more innovative and exciting than the last. Promoting local talent, the true talent of Belize comes out alive through these exhibitions. Even though they host an exhibition every month, the Image Factory has a permanent collection to call its own that include photos, sculptures and of course, works of art. Love this? Explore the entire list of places to visit in Belize City before you plan your trip. Fancy a good night's sleep after a tiring day? Check out where to stay in Belize City and book an accommodation of your choice. How popular is The Image Factory? People normally club together Bacab Eco-park and Old Belize while planning their visit to The Image Factory. This is a place of literature, art and action. Great little book store and Cafe. Super friendly staff. Great art at great prices. I purchased a piece here and they packaged it up for me so I could get it home. Really great service and would recommend this to be the first stop for anyone looking for some great art from Belize. The Image Factory is an amazing space and truly inspiring. Gilvano Swasey graciously showcased several of his artworks to us and also shared with us his creative process into his creation and additionally, how he used the resourced in Belize itself to create his art. I left there not only bringing back items, but feeling deeply inspired that art is limitless and creativity has no boundaries. Only place in Belice city that counts as a book store for me. Nice small art exhibitions put on from time to time! If you love art, culture, and books, this is the place for you!